The fast-food chain has released its teaser ad on YouTube ahead of the big game. Burger King has released a teaser spot to let fans know that it’ll be back in the Super Bowl this year after being on the sidelines for more than a decade. 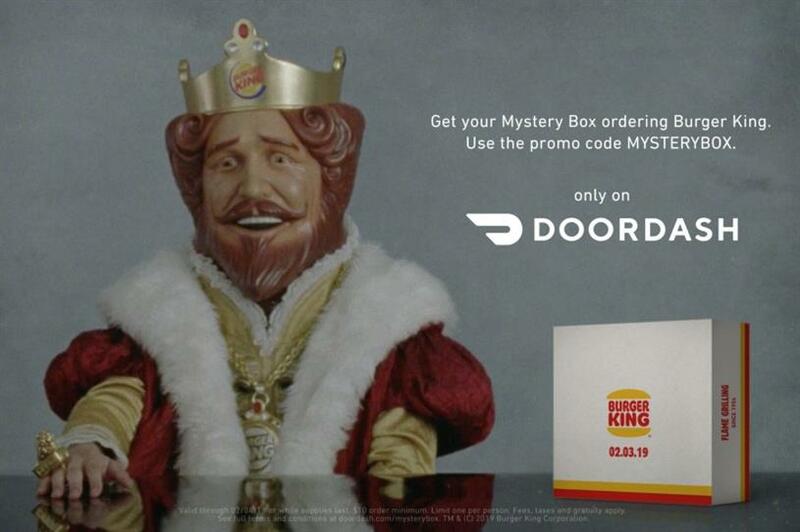 The teaser, created by David/Miami, includes the one and only BK King, who tells consumers to get their "Mystery Box" available exclusively through DoorDash. "This limited-edition Mystery Box creates a unique, engaging and innovative experience, and we are excited to launch it nationwide for our customers," said Christopher Payne, DoorDash chief operating officer, in a statement. Last week, Burger King trolled McDonald's a bit by telling consumers they could cash in their expired MacCoin cryptocurrency for a free Whopper at select stores.